The physical realm is the realm of change. Change is constant. As you flow with it, you are utilizing the natural laws that create. As you resist change, you are creating friction with those natural laws. But that isn’t necessarily a bad thing! In fact, in this realm of duality, friction is also part of the flow of creation. Here we blend the two into one natural flow. You are duality in human form. You observe and interact with life within the conditions of the physical realm. The unconditional is for the subtle realm. How you interact with life internally (your subtle realm) is your sovereign domain. Your internal realm is where you determine how you are flowing with life. Release resistance and you flow more easily. Sometimes that means allowing the resistance to be perfect for the moment of progress. If you observe how water (and air, but we’re going to focus on water) shapes Earth, water reshapes it with constant flow and friction. The hardest of rock is smoothed and reformed with water’s natural flow of least resistance, yet resistance all the same. The path of least resistance creates more ease and peace in your life. As you are observing and experiencing, it is helpful to maintain that flexibility of water as you flow with life. You are a powerful force of change, even if the external experience seems hard as a rock. Time is the gift of progress in the physical as you observe and direct your flow to reshape life. Resistance is merely a moment that is calling you to readjust so that your flow can continue. Perhaps it is time to rest and wait. Maybe its time to refocus your direction of flow. You may feel compelled to continue moving forward, just a little more slowly for the time being. Resistance is just as natural of flow as fast movement forward. Are you the rock being reshaped, or are you the water reshaping life? It’s a trick question, because in this realm of duality you are both. True resistance is the rock trying to pretend that it is not vulnerable to the gentlest of water flow. Humans often do this through staying unconscious to the effects of their emotions and thoughts. Suppressed emotions, patterns of abuse or control—these are the equivalent of the rock pretending that the water is not slowly wearing it away with friction. The water is merely finding it’s path of least resistance. It’s flexible, yet direct. It’s adjustable, yet consistent. It’s being water. It’s just flowing. How do you deal with challenge? Do you react, resist or flow with the progress of it? Perhaps you are flowing with it like water—twisting, turning, rolling downhill, pooling your resources until there is critical mass and then overflowing. Such majesty in the waterfalls! Perhaps you are the rock—knowing your strength yet understanding the greater flow of Life shaping you. Or are you the rock “pretending” that you aren’t affected by the ever-flowing waters of Life? We all have those moments of fearing or resenting change. Those emotions are best served by the conscious allowance of their flow. Video recommendation: I Surrender my Human Will to my Divine Will. As you allow that flow, you are assisting challenges to flow into changes. Your power to change life is in-built into your consciousness. As you honor your powerful flow, you are reshaping life. Life wants to be reshaped by you. You are Life in human form. As you flow, Life flows. It is the flow of Love that supports you, even in the midst of resistance. 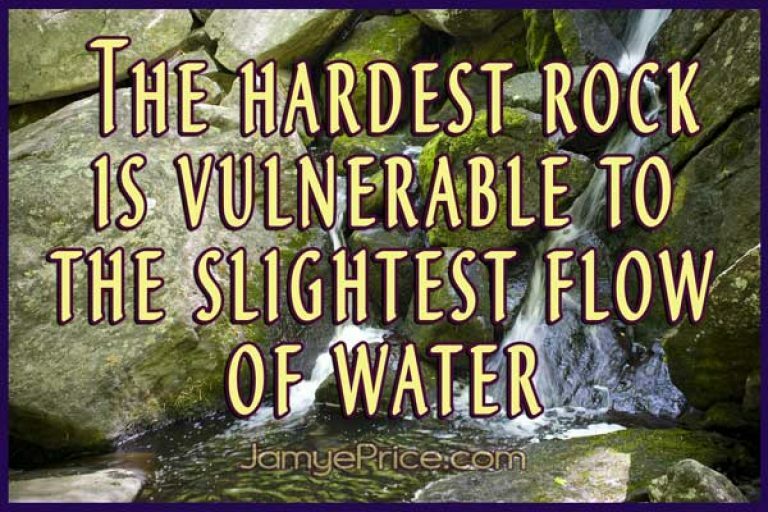 The hardest of rocks is susceptible to the slightest of water flow. Flow some Love to yourself; you are magnificent. 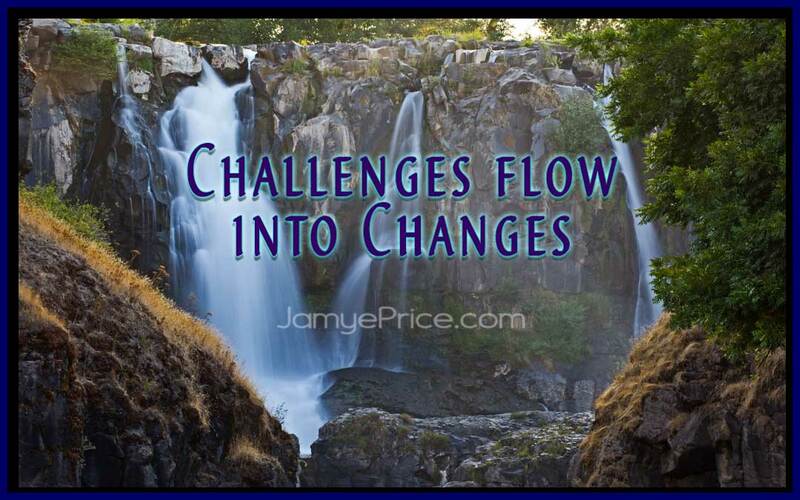 Flow some Love to your challenges, for they are reshaping you into improvement—the natural flow of Life. Flow some Love into the human experience. Humanity is learning to flow with Love instead of fear. You’re leading the way. Hello my teacher 🙂 Thank-you for being who you are and doing what you do for humanity. Who you are is important. What you do is so appreciated. The transformation that has happened with me within Two and Half years personally is truly in-creditable because of the un-conditional love you have for all humans, and I mean all. So with that I wish you and yours a very Merry Christmas God Bless. Namaste’ to the Lyran’s I Love you freely~ and it feels GOOD ! Thank you so much, Gina! Sweet blessings to you! Thank you Jamye! Flowing love feels so abundant.